"Project Paradiso is the jazz interpretation and adaptation of the works of great film composers by Juno-nominated pianist and composer Tony Foster. The films which the music were composed for would be diminished immeasurably without the enhancement of moods, emotions, atmospheres provided by these great themes and melodies. " Foster was a recent guest of CBC Hot Air on October 10th 2016 where he discussed his new album with CBC radio host Margaret Gallagher! This is the exciting new release by pianist and composer Tony Foster and his trio! With the release of this new exciting recording, pianist and composer Tony Foster interprets and arranges nine compositions by two film composer icons- Ennio Morricone and Henry Mancini. The music is adapted for the jazz piano trio format, and also includes one of Foster's own compositions entitled "Mr. Mancini"- a tribute to Henry Mancini. The recording features Foster at the piano, accompanied by Canadian drummer Joe Poole and Seattle-based bassist Nate Parker. 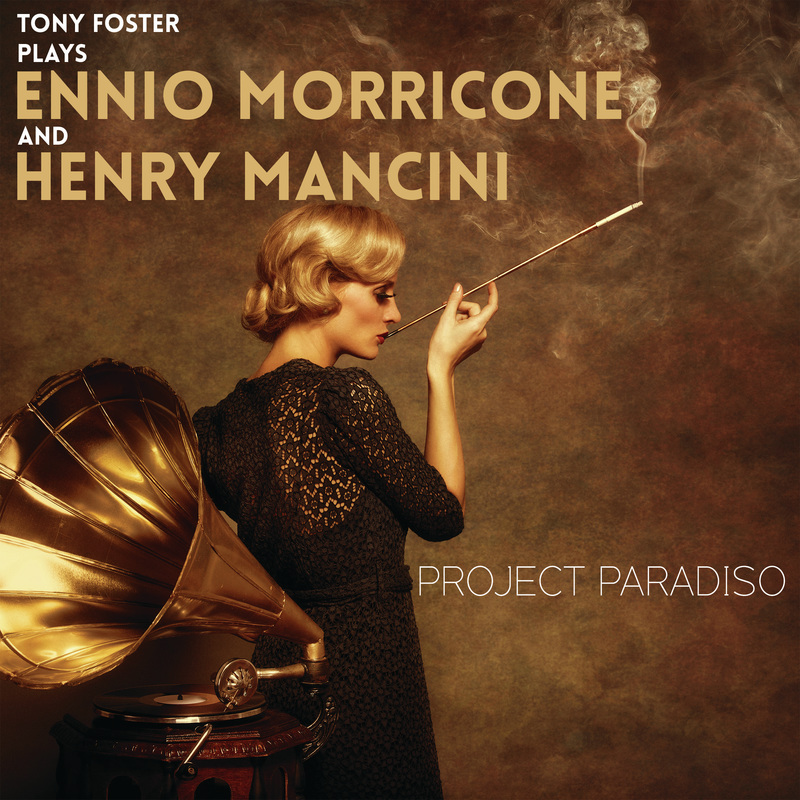 ​Tony Foster, Canadian-born pianist and composer has adapted the works of Morricone and Mancini for this exciting new piano trio release entitled "Project Paradiso: Tony Foster Plays Ennio Morricone and Henry Mancini"
Ennio Morricone, is an Italian composer of over 500 scores for cinema and television, as well as over 100 classical works, and continues his outstanding work with a 2016 Grammy win for his soundtrack to Quentin Tarantino's "The Hateful Eight." Henry Mancini, was an Italian-American composer, conductor and arranger, who is best remembered for his film and television scores. Often cited as one of the greatest composers in the history of film. In-demand Seattle-bassist Nate Parker brings impeccable time, and musicality and feel to this recording. Based in Vancouver Canada, Joe Poole's dynamic and rich drumming fundamentally shaped the arrangements on this recording.